The Quadra Bike School offers professional level training for bicycle mechanics. 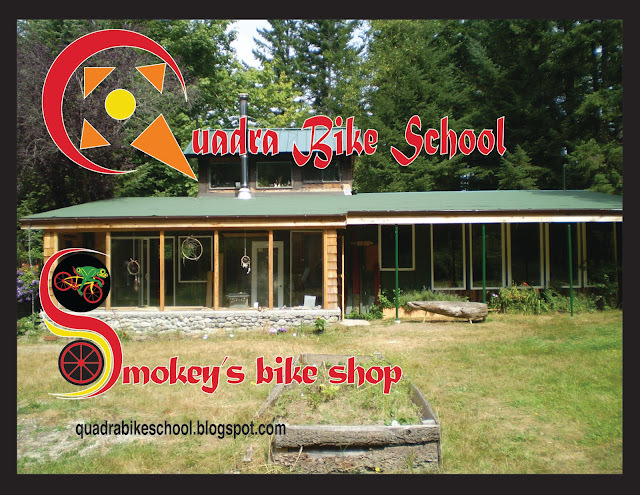 The instructor, J. Smokey Dymny, is an experienced bicycle mechanic instructor who taught the Bicycle Assembly and Maintenance courses in Toronto in 2009 and 2010 and on Quadra since 2011. With a 5-week course, you will have twice as much time to learn. You will have free time to ride, evenings to study in your residence or practice your skills in the bike shop, and weekends to relax, ride, study or practice. Class times are currently 9 to 5, five days per week. • *New summer course*: July 2nd - Aug 2nd now booking. • Sept 3rd to Oct 6th. (Summer weather continues) Now booking. 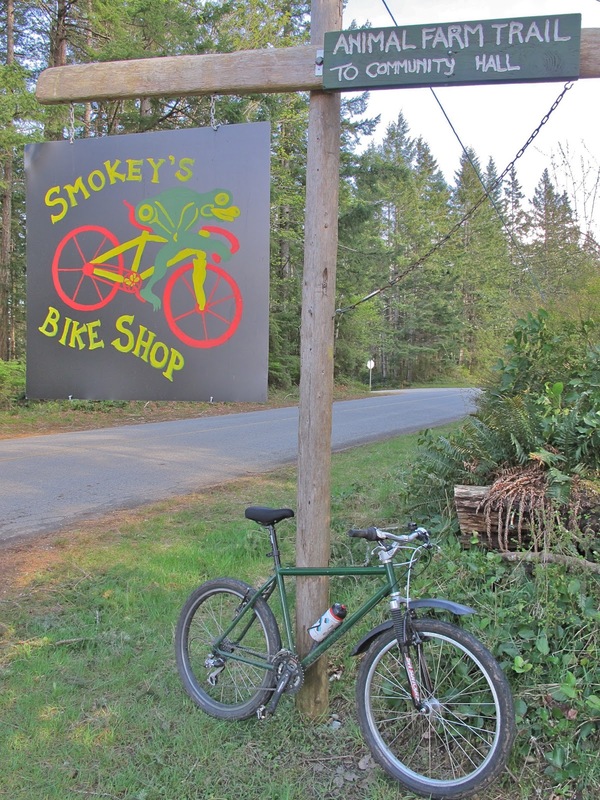 The courses take place at Smokey's Bike Shop & School on Quadra Island, British Columbia, Canada. See Directions page. The Quadra Bike School is on 23 wooded acres. 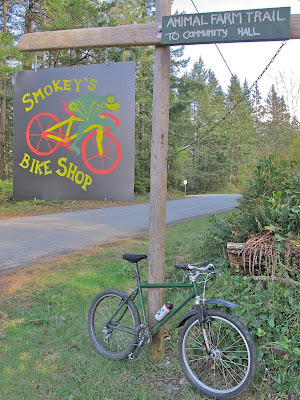 Our own Animal Farm Trail connects directly to some of Quadra Island’s 50+ kilometers of bicycle trails. Also 15 km of paved road loop starts from the Bike School’s front door and passes by the Java Bay Café, the best espresso bar in the area. Early risers get a ride in before the 10am class time. smokeydymny@gmail.com to ask about anything not covered in this blog.